It’s March Madness, that time of year when the NCAA’s revenue streams become a biblical flood, and this revenue gusher is creating an unholy pressure on the foundations of the NCAA, turning cracks into fissures. It’s March Madness, that time of year when the NCAA’s revenue streams become a biblical flood. It’s the time of year when the nonprofit cartel—yes, the NCAA is a nonprofit—takes in 90 percent of its annual revenue. Than means 90 percent of Mart Emmert’s $2 million-plus salary, 90 percent of the six-figure salaries of his fourteen vice presidents, 90 percent of their new $35 million headquarters in Indianapolis are underwritten over the next month. Yet this revenue gusher is creating an unholy pressure on the foundations of the NCAA, turning cracks into fissures. The lawsuit also seeks an injunction to prevent the NCAA from intervening in efforts by schools or conferences to negotiate with their own players. This injunction effort has to be seen as an act of solidarity with the football players at Northwestern who unionized and registered with the National Labor Relations Board, but are not being recognized by the school, certainly in part because of being intimidated by reprisals from the NCAA. This is only the latest challenge to what was once seen as the untouchable power of the NCAA. The critiques are certainly nothing new. People such as Upton Sinclair and W.E.B. Du Bois were criticizing the corrosive effects of college athletics and fake amateurism since their inception. But the gushing, almighty revenue streams brought by cable television over the last thirty years have created a new set of pressures. The NCAA has somehow created two economic systems, side by side. There is the indentured servitude of college athletics and the free market, freewheeling, anything-goes life of a seven-figured salary college coach. It is a house divided, and these have a tendency to not stand. One coach who has never hesitated to flee for greener pastures and higher pay days is itinerant 73-year-old coach Larry Brown. As the news of the lawsuit spread on Monday, it was difficult to not think about the Hall of Fame coach. The previous evening, Brown’s SMU Mustangs, despite being ranked twenty-fifth in the country, were shut out of March Madness. 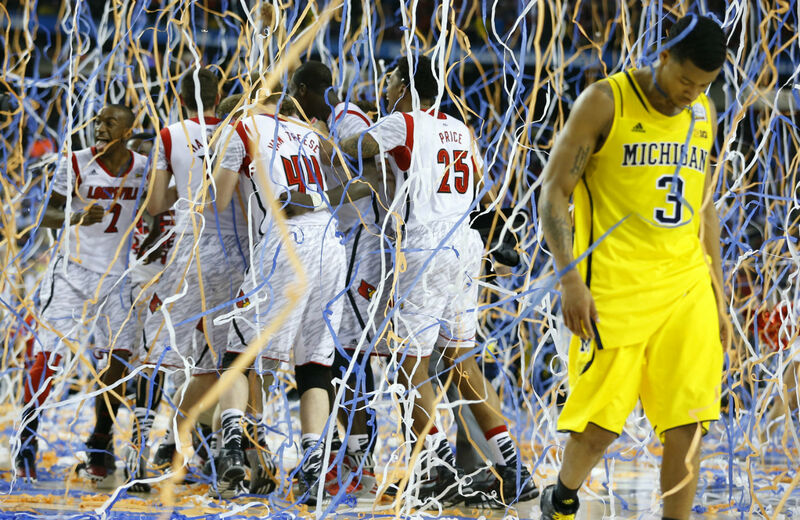 The team went 23-9, but at their selection Sunday party, was left in tears. Larry Brown may be a basketball genius. He may be the only coach in history to have won championships at the college and professional level. He may be a turnaround artist beyond compare, but two weeks ago, the mad genius of coaching chose the madness of March to say something… mad. I had to listen to the audio of the interview to make sure Brown just wasn’t being extremely sarcastic, because college basketball is “the greatest minor league system in the world” is akin to saying that cigarettes clean out your lungs with every puff. This “greatest minor league system in the world” sends less than 1 percent of its players to the NBA. A shocking number of those who do make it find themselves bankrupt when their careers are over. While in college, their own development as players is always—always—sublimated to the goals of the team. In other words, if you are a 6' 8" tweener who can rebound but can’t shoot, you will do what the coach wants, and rebound even though it will damage your chances to play at the professional level. In addition, because players have to live under the fiction of being “student-athletes” with massive restrictions over how much they can practice with their teammates or even be coached, their ability to reach their athletic potential becomes artificially stunted. And lastly, unlike the minor league circuits in baseball and soccer, you don’t get paid. So let’s recap: your skill development gets stunted, you have a 99 percent chance at failure, and you don’t get paid. But other than that, it is the greatest minor league system in the world. Back to Brown. As his team was shut out of the NCAA tournament, tears in their eyes, it is worth asking the question: How does that experience help the young men at SMU? How does it prepare them for life? Does this build some kind of super-secret “pro character” antibodies? An antiviral resistance to gut-wrenching disappointment? The only people the NCAA tournament prepares for advancement are the hot coaches from the small schools who will leave their program in the lurch to sign a big-money contract with a top university before all of the Final Four confetti has hit the ground. March Madness has been very good to Larry Brown and his coaching brethren. It has been very good for the NCAA. For the ones we cheer, however, there are few happy endings. We are watching parallel trajectories with every round: coaches ascending to the heights and players getting pushed closer and closer to that edge where the cheering stops. That is why this is a house divided, and that is why, in the long run, it will not stand.